Sveingeirr had this stone raised in memory of Tosti, his father, and in memory of Alflakr, his brother, and in memory of his mother and in memory of his sister. 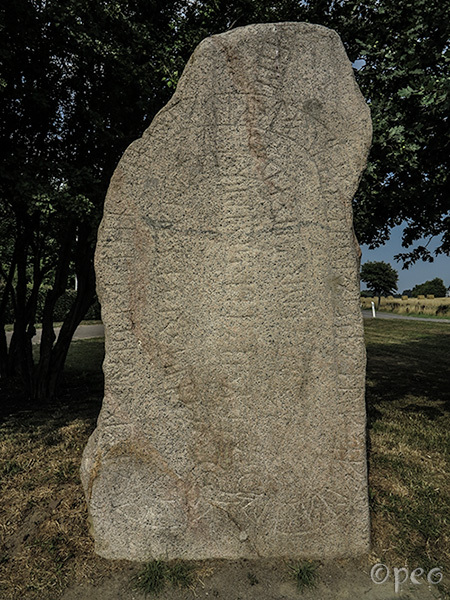 This rune stone is standing east of Hassle. In the rune stone database it's labelled as Klemensker 3, so I guess it was moved from close to Klemensker, which is situated about 6 km further to the east.